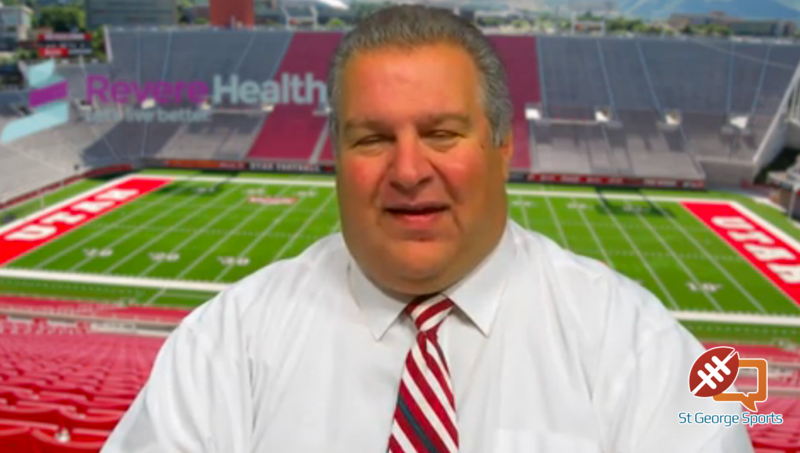 ST. GEORGE – Technically, all six Region 9 teams are still eligible for postseason play. 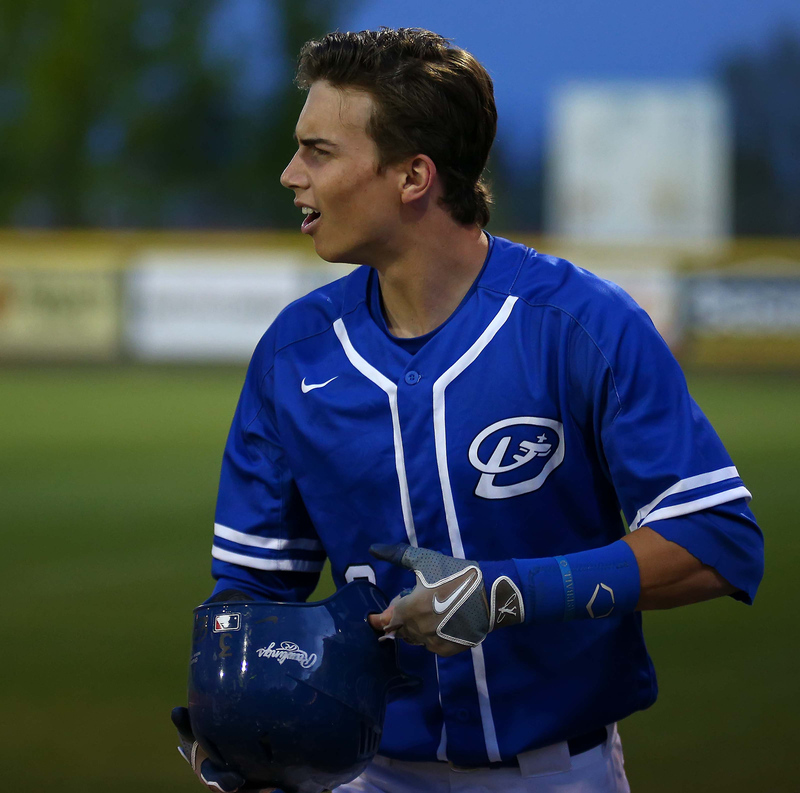 But the top four teams have created separation from the bottom two teams, especially the red-hot Dixie Flyers and the on-a-roll Snow Canyon Warriors, who both won Tuesday night and are tied for first. Pine View also bounced back after three straight losses and is tied with Desert Hills for third place, just a game behind the leaders. Believe it or not, the bunt played a key role in the Warriors’ huge win. 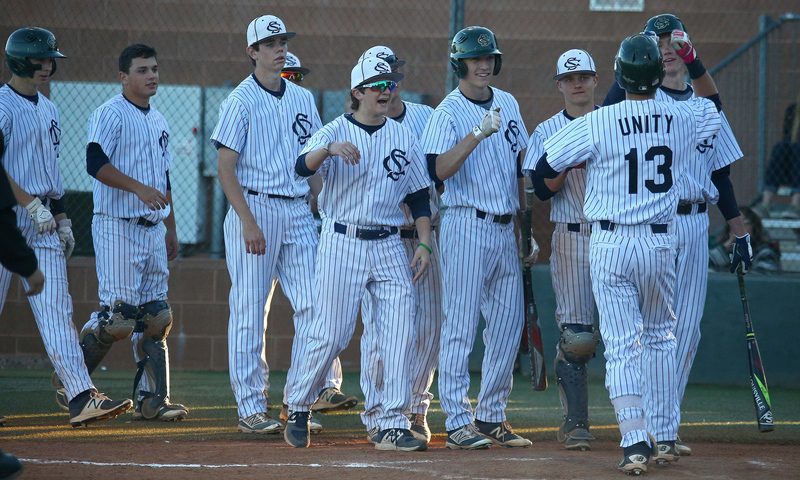 Snow Canyon more than erased a 3-1 deficit in the bottom of the second at home by playing a little small ball. RBI’s by Sam Rhoton, Bronson Andrus and Quinn Kiser helped the Thunder to that early two-run lead. SC opened the bottom of the second with a single by Braden Baker and a walk by Zach Nowatzke. With two on and no out, Warriors coach Reed Secrist called for a sacrifice bunt. Jed Jensen laid down the sacrifice, but DH pitcher Chad Nelson overthrew first base and the error let Baker score and sent Nowatzke to third with the score 3-2. After a strikeout, Kaleb Gates stepped up and laid down another bunt. Once again, the Thunder botched the play and Nowatzke scored to tie the game. Jamison Day, SC’s speedy lead-off hitter, then dropped in another bunt. This time, the Thunder rushed to field it cleanly, but the lightning-quick Day forced a bobble and Jensen scored to make it 4-3, Warriors. The next batter, Davis Rigby, walked. 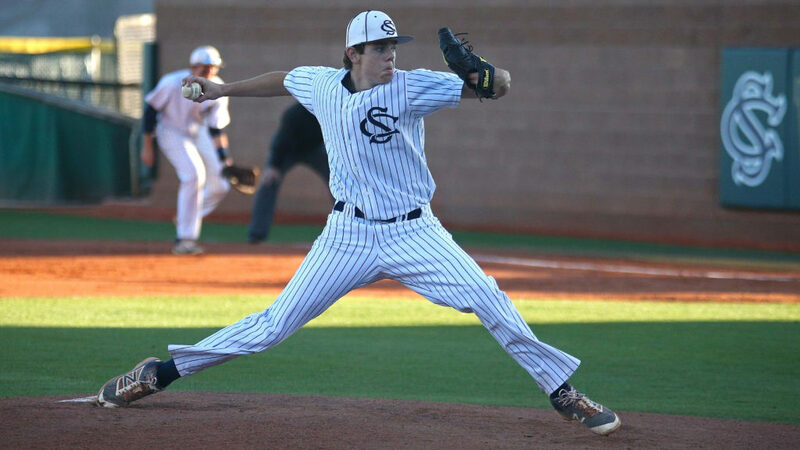 After a DH pitching change, one of the top hitters in the region, Austin Deming, stepped up. The Warrior shortstop, who had homered in the first inning, ripped a liner to center field for a single that scored two runs and made it 6-3, RBIs No. 27 and 28 on the season. 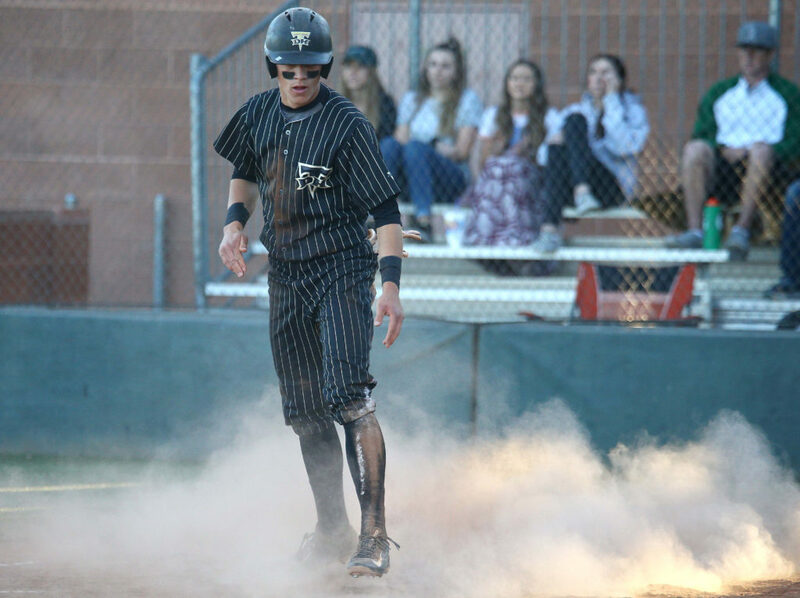 Cannon Secrist followed with another two-run single to make it 8-3 and two more Desert Hills errors (a total of four in the inning) brought home three more runs in the inning as it ended up being a 10-run rally and an 11-3 Warrrior lead. To the Thunder’s credit, they didn’t quit, even with the big deficit. Alex Ekins had an RBI single in the fifth to make it 11-4 and Trey Allred and Trey Winget knocked across runs in the sixth. 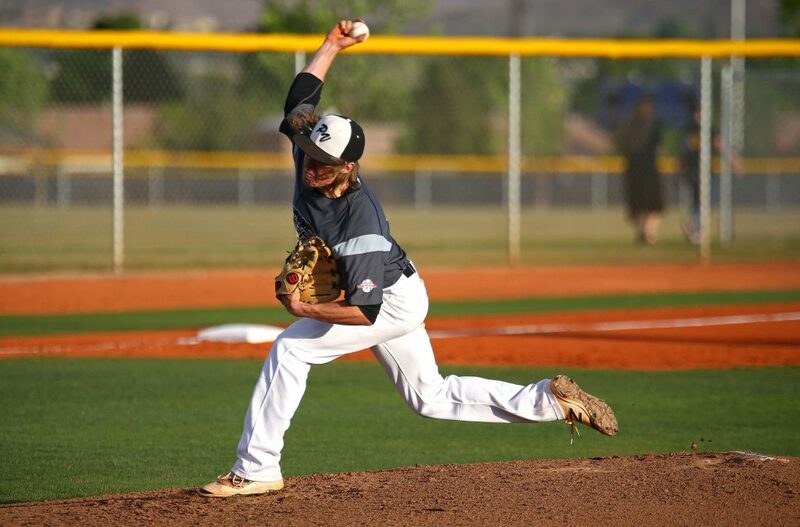 But Snow Canyon reliever Makai Lee came in and slammed the door on any comeback thoughts by pitching 1 2/3 scoreless innings. The Thunder actually had more hits than the Warriors (13-8), but committed five errors, the most in any game this season for DH. Nelson gave up seven runs, but only one was earned, and reliever Ekins allowed four runs, but also only one earned. Deming finished 3 for 4 with a single, a double and a homer and three RBIs. Baker and Cannon Secrist had two hits each for the Warriors. Breck Eichelberger got the win, though he allowed 12 hits and five earned runs. The real key for the junior righty – he didn’t walk a single batter. 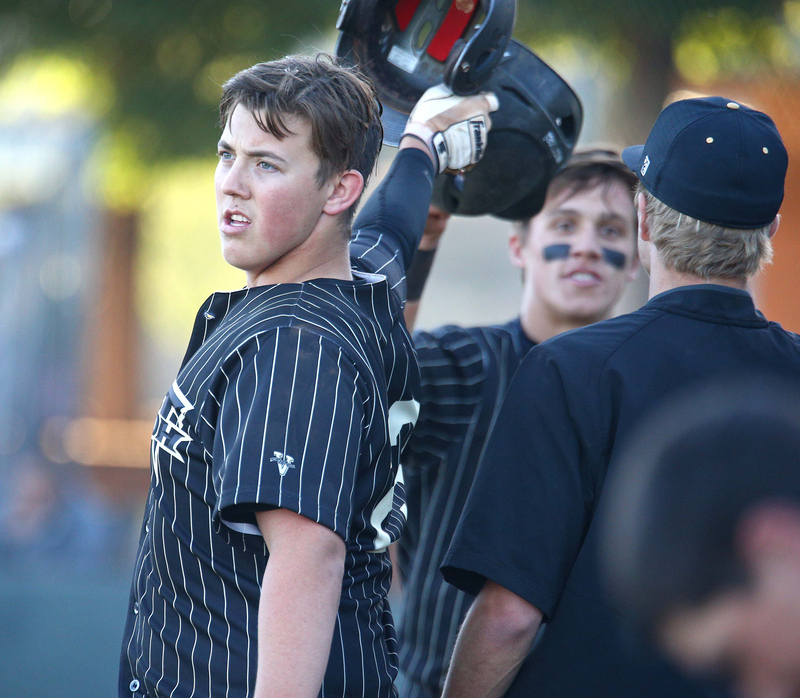 For Desert Hills, five different players had two hits each: Andrus, Kiser, Winget, Seth Betts and Drew Thorpe. 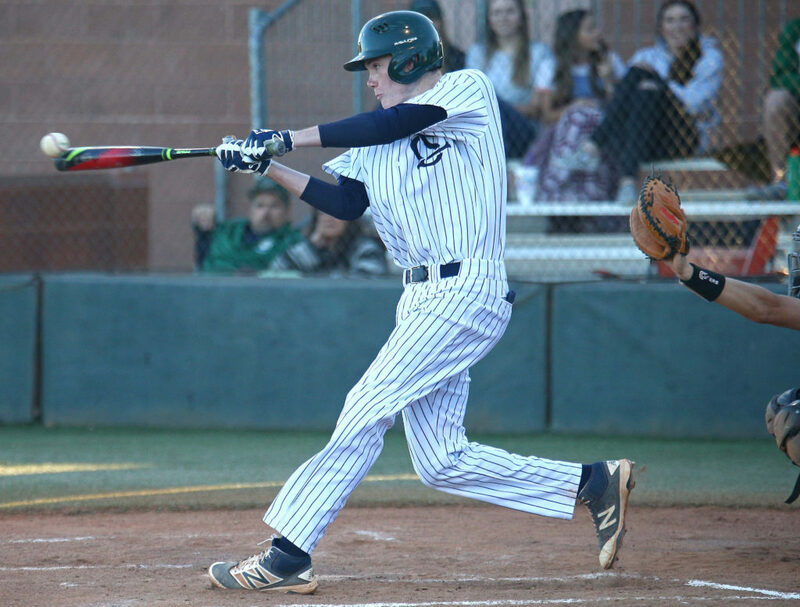 Snow Canyon, 5-2 in region and 13-7 overall, will head across town to play at Thunder Field Friday at 7 p.m. Desert Hills, 4-3 and 14-5, drops out of first place for the first time this season. 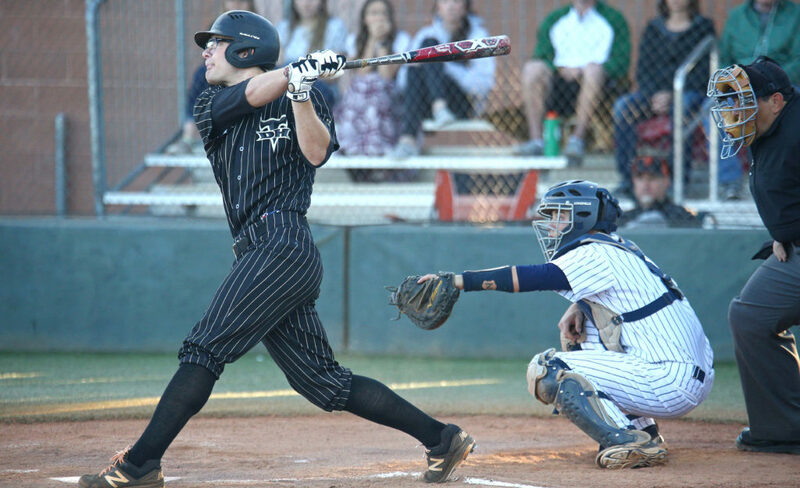 The Flyers are smokin’ hot, using a cascade of runs and the strikeout prowess of Tyson Fisher to mercy-rule the Tigers Tuesday night at Tiger Field. Dixie scored in four of the five innings in the shortened game, including five runs in the top of the third and four more in the top of the fifth. It was tight early on, with each team picking up a run off of defensive errors in the first inning. The Flyers took 2-1 lead in the second when Kayler Yates scored on a wild pitch. With Fisher on the mound and throwing BBs, that slim lead is all Dixie would need. But the Flyers got the bats going in the third anyway, just to make sure. With two outs and two on, Chase Lundin singled to chase home Payden Harrah and make it 3-1. Yates then scored for the second time on a double steal and it was 4-1. Hobbs Nyberg then blooped an RBI single and Dayton Dempsey smashed a two-run double and it was 7-1. A couple of Hurricane errors and a Fisher two-run single pushed the lead to 11-1 in the top of the fifth and activated a possible 10-run mercy rule situation if the Tigers couldn’t score in their half. Noah Humphrey hit a one-out triple for Hurricane in the bottom half, but Fisher struck out the final two Tiger batters to seal the win and end the game. Dixie ended up with nine hits in the game, including two singles by Nyberg and a double each by Dempsey and Wyatt Woodland. Dempsey and Fisher had two RBIs each and Yates walked three times and stole a pair of bases. Fisher, on the mound, got his fifth win of the year by allowing just three hits and one unearned run. He struck out eight while walking just two. 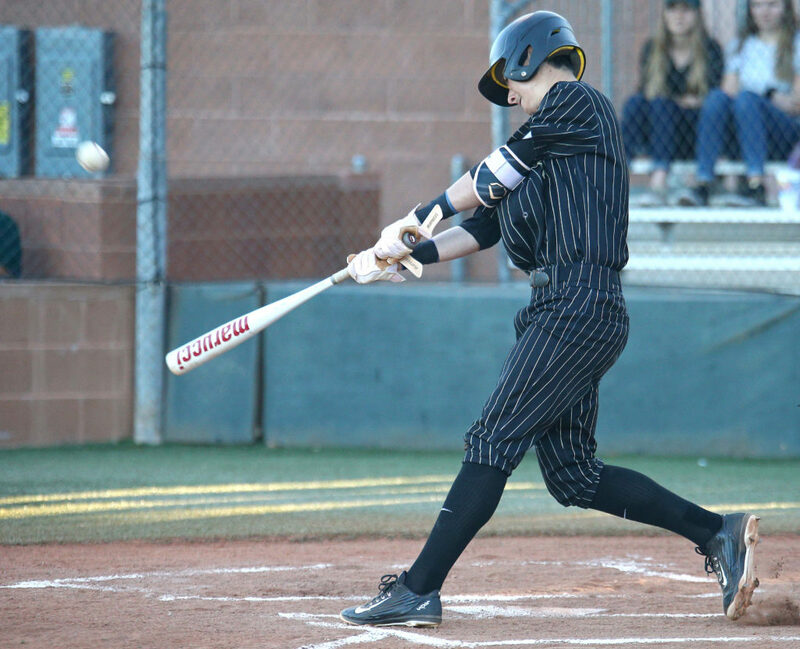 Humphrey, Alec Flemetakis and Michael Lacy had the three hits for HHS, with Tobie Swenson taking the loss. He allowed just seven hits, but walked 10 batters. Dixie, now 5-2 in region and 16-3 overall, will host the Tigers Friday at 7 p.m. at Flyer Field. 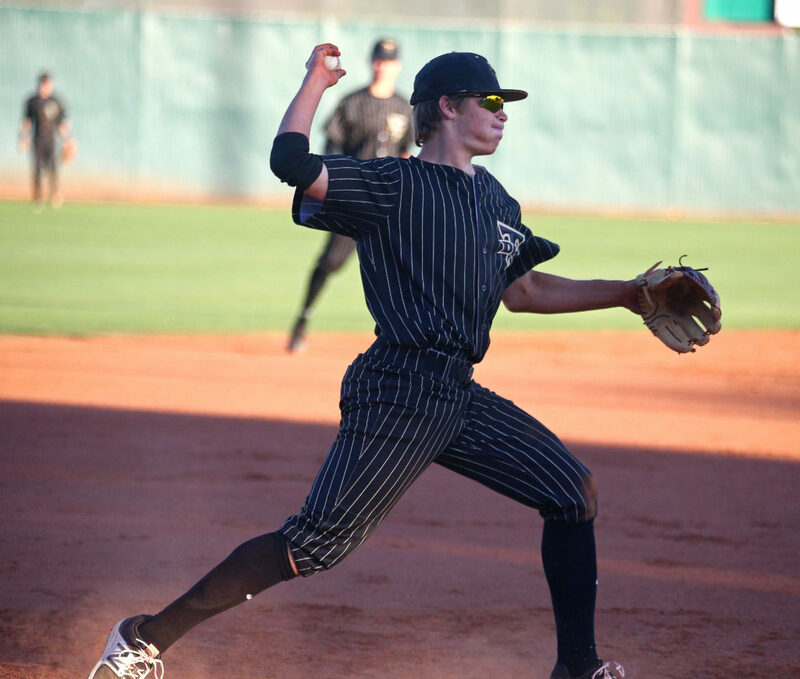 Hurricane, 2-5 and 8-11, sits two games behind Desert Hills and Pine View for a playoff spot with three games remaining. 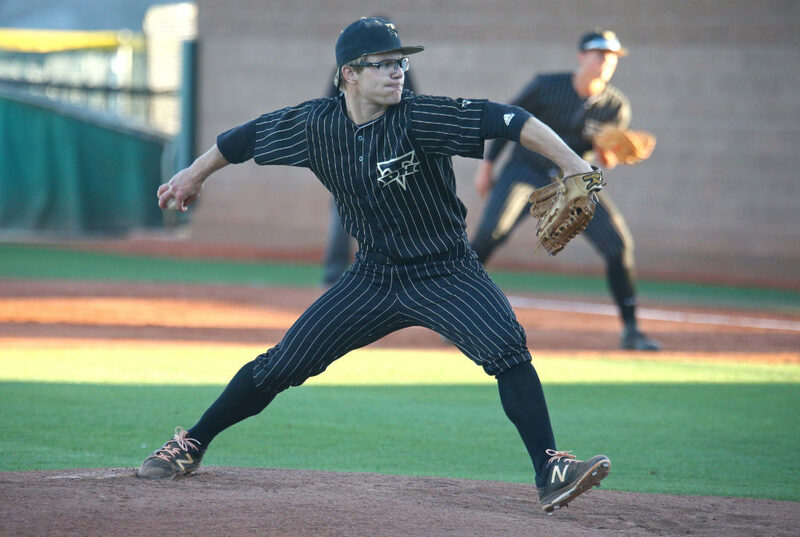 Panther pitcher Jagun Leavitt has been the hottest pitcher in the region the past three weeks. So when Pine View started the game with a seven-run rally in the first inning, it was clear it was not going to be the Redmen’s night. Leavitt, who has allowed just one earned run in his past three starts, finished his third complete game in-a-row Tuesday at Panther Field, giving up four hits and one walk to Cedar. Leavitt has an earned run average of 1.98 and he’s only walked 17 batters in more than 35 innings of pitching this season. 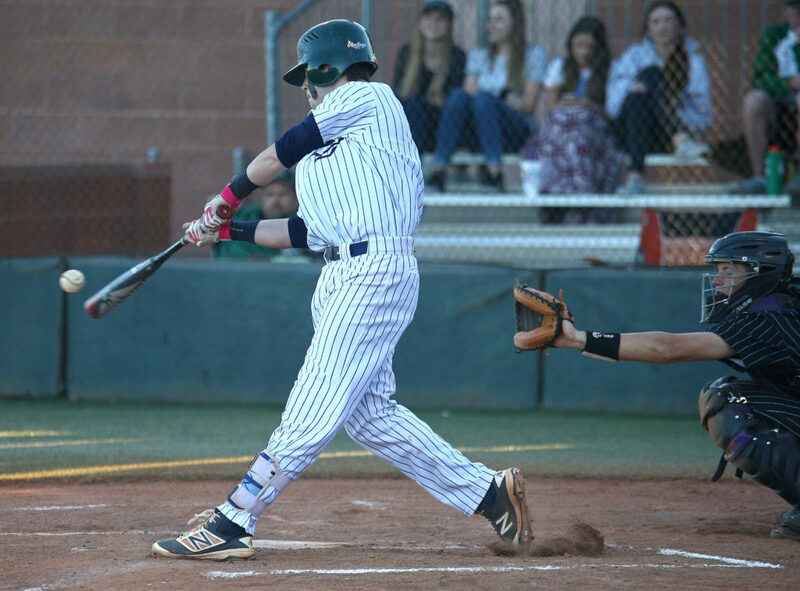 Leavitt is also one of the top hitters in the region and he came through with two triples in the game vs. Cedar. His final line at the plate: 2 for 3 with three RBIs, a run scored and a walk. He also stole a base. 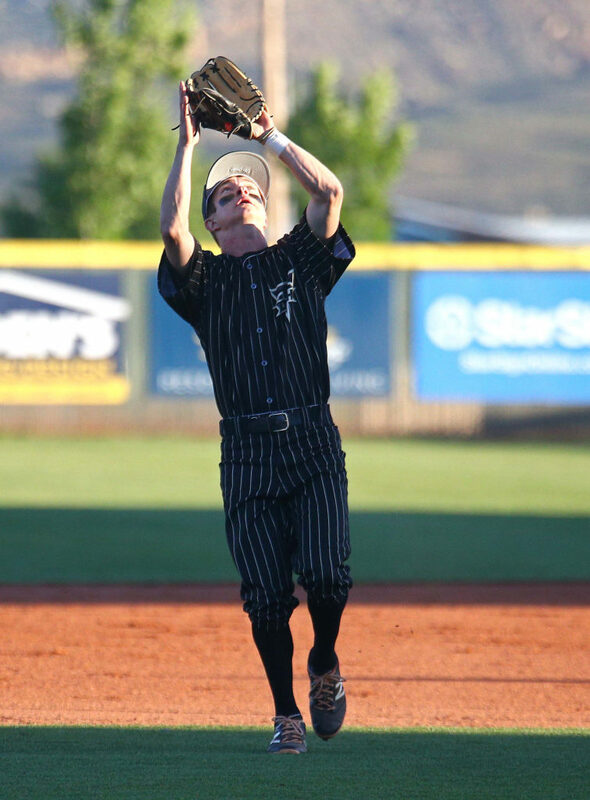 But Leavitt wasn’t the only one swinging the bat for Pine View Tuesday night. 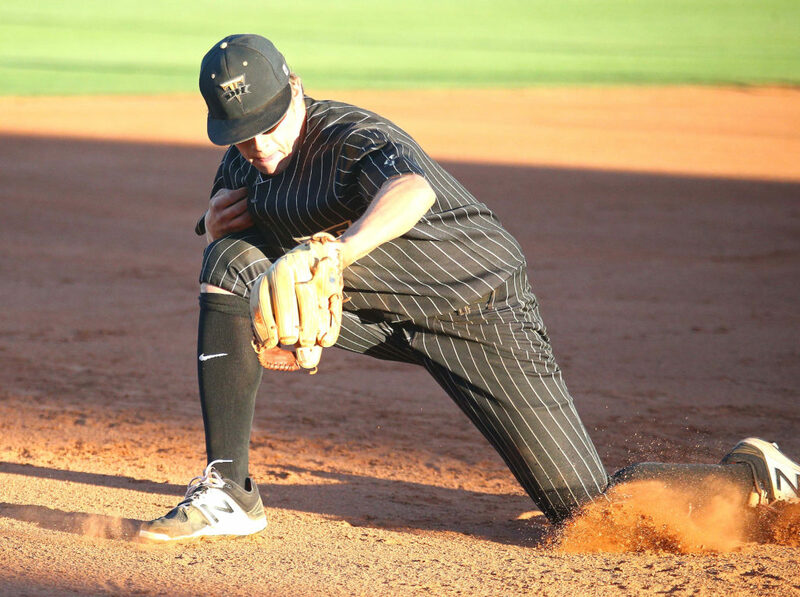 The Panthers had nine hits, including two each by Sampson and Ryke Erickson. Makai Maclellan hit a three-run homer into a stiff wind in left-center early in the game. The early rally was a backbreaker for Cedar. The Redmen got the first hit of the game in the top of the first on a single by Jaden Hulet ( he had two hits in the game). But Leavitt finished that half-inning with no harm done and the Panthers got it rolling in the bottom half. The first seven batters would reach, starting with a single by Erickson and a walk by Dawson Staheli. Leavitt then socked his first triple of the game, stroking it down the line in left field and bringing home two runs. Erik Sanchez then walked off Cedar starter Drake Lewis and Sampson made it 3-0 with a single to center. Maclellan then stepped up with Sanchez at third and Sampson at first. 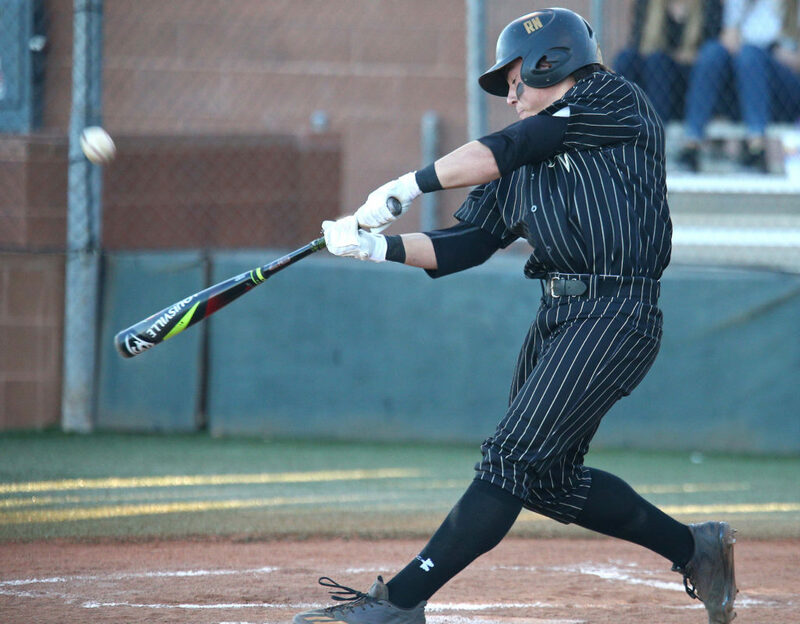 The Panthers called a hit-and-run on a 1-0 count and Maclellan blasted the baseball about 380 feet, making it a 6-0 Pine View lead. With two outs, Erickson got his second hit of the inning, an RBI double, to make it 7-0. PV made it 9-0 in the third on a Cedar error and Leavitt’s second triple of the game. On the mound, Leavitt cruised through most of the innings, allowing just one hit in the second through fifth innings. Cedar got two on in the sixth before a double play ended the threat. The Redmen finally got on the scoreboard in the top of the seventh. 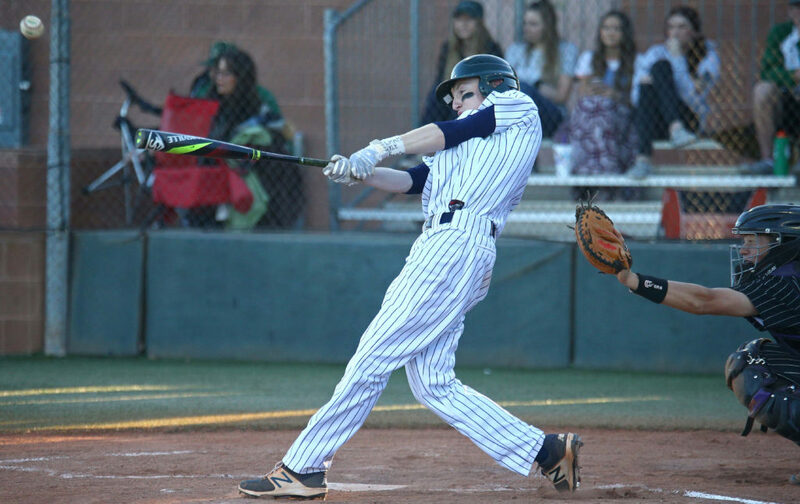 After Brandon Johnson beat out an infield single to the left side to lead the inning off, he scored on a two-out Pine View error to break up the shutout. Leavitt induced a ground out from the next batter to end the game. The win breaks a three-game losing streak for the Panthers, who are 4-3 in region and 10-9 overall. 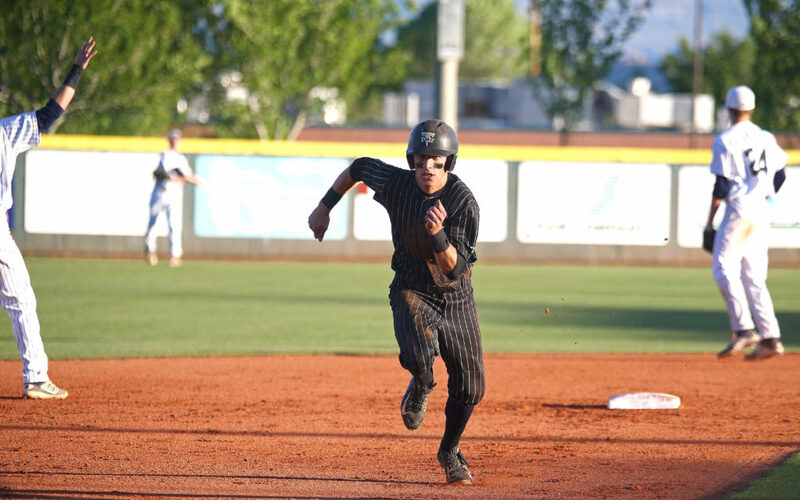 Pine View also stole four bases in the game, significant because the Panthers are last in the region in steals with nine coming into the game. Cedar, which has 22 steals on the year (fifth in the region), did not steal a base in the game. The Redmen, 1-6 in region and 6-10 overall, must win their final three games to have a chance at making the state playoffs. The last time these two teams met was in the 2016 state championship game, which Pine View won 4-3. The Panthers and Redmen meet again this Friday in Cedar City. Game time is 4 p.m. at CHS.